Can't believe a quarter of the year has already gone by. Before we know it, Christmas will be here. I have another giveaway up and running already - check out the sidebar to enter; it is open worldwide until mid-April. Another giveaway will commence on May 1. I have been shoving blogging to the end of my priority list; that will hopefully change after my birthday next week. 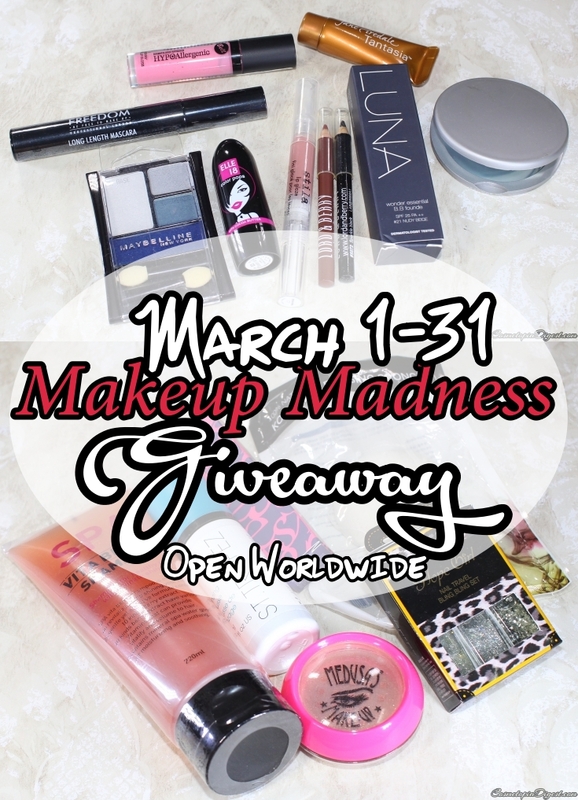 Meanwhile, here are the results of the March Makeup Madness Giveaway. Congratulations! Please email me your name, shipping address including post code and country, and telephone numbers. As it is my birthday on the 14th, I may not be able to post your prizes until I'm back. But I will send them with tracking. Remember, there is another ongoing giveaway, plus quite a few more scheduled for the near future, so stay tuned!